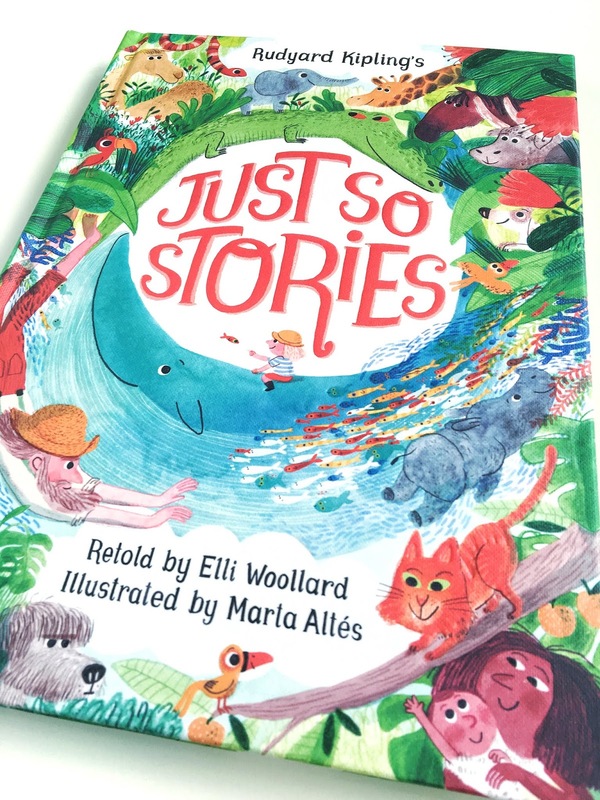 This is a beautiful new edition of Rudyard Kipling's classic 'Just So Stories'. 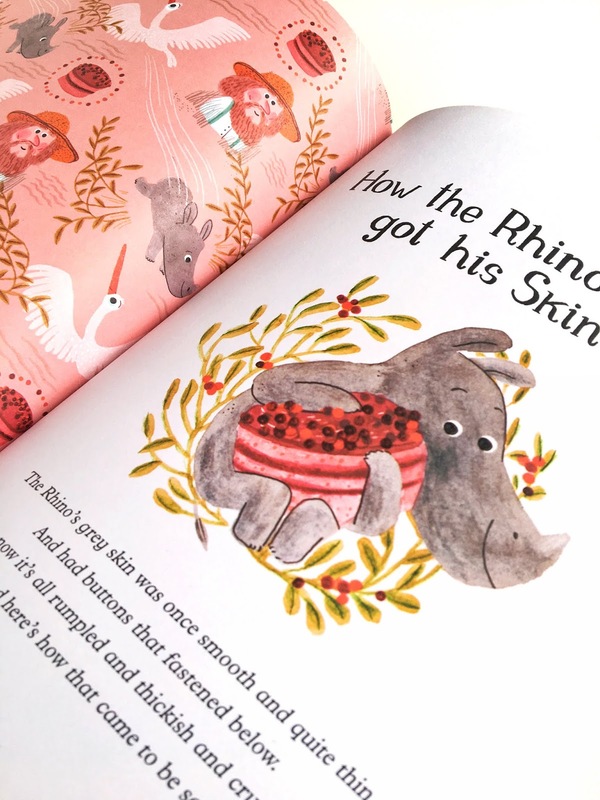 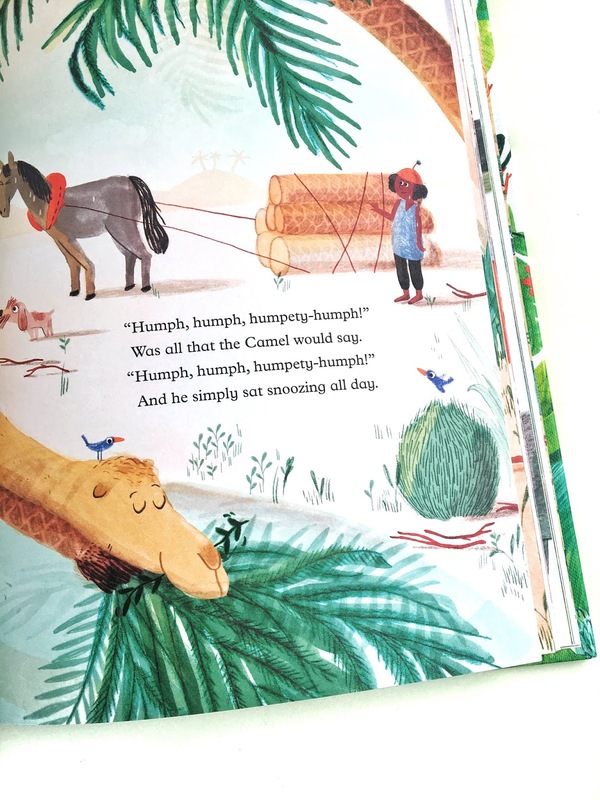 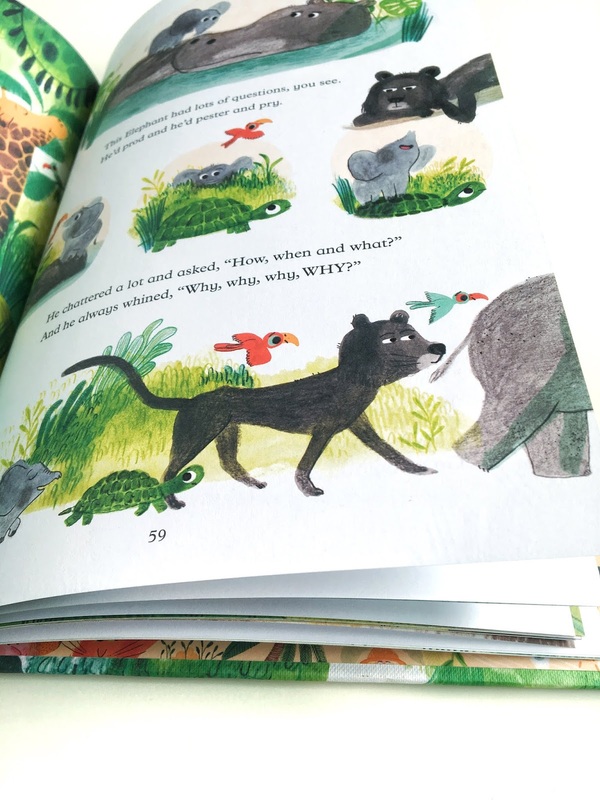 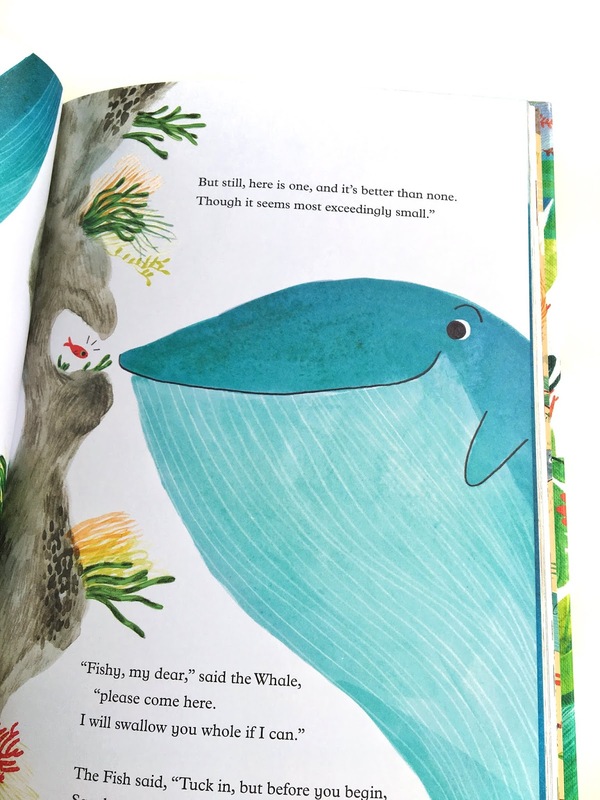 It features five stories, all illustrated by Marta Altes and retold by Elli Woollard, including 'How the Camel got his hump' and 'How the Rhinoceros got his skin'. 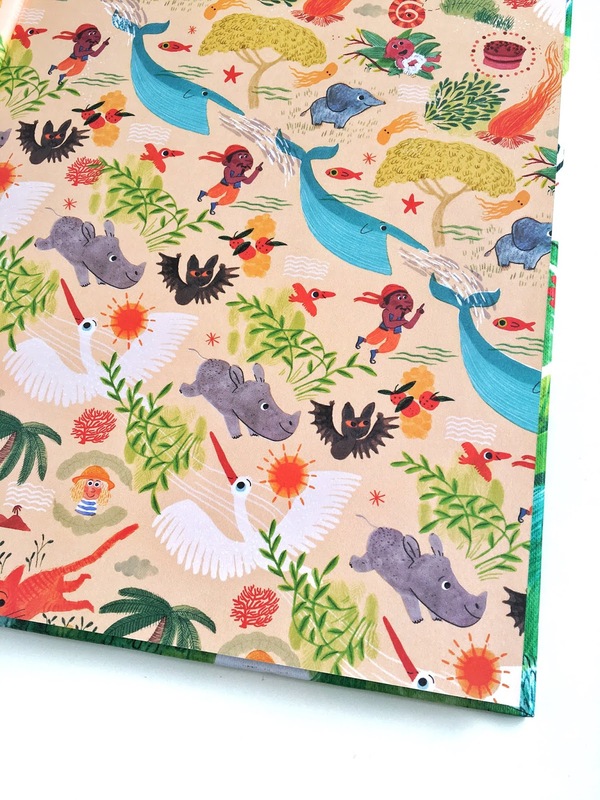 A menagerie of characters found inside the book, feature on the cover, and beautiful end papers await upon opening. 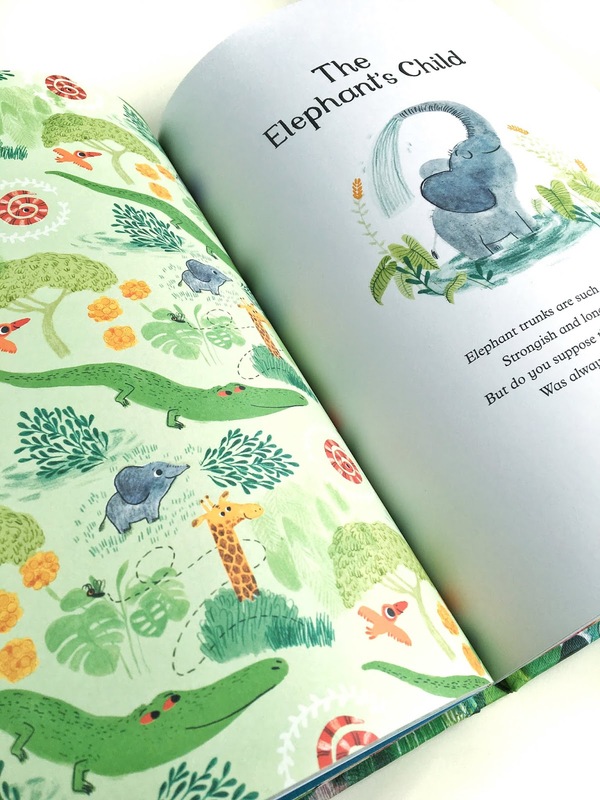 This is bound to be a much loved version of a true classic, winning pride of place on any bookshelf.